Finding images of stunning views, beaches and destinations was not hard to do! Picking out the most beautiful for a honeymoon however, was hard. Here is a list of the honeymoon destinations which provide beautiful weather, culture, fantastic day trips and awesome views. 1) Harbour Island, Bahamas. Pink sand beaches, chic resorts and gorgeous little restaurants. 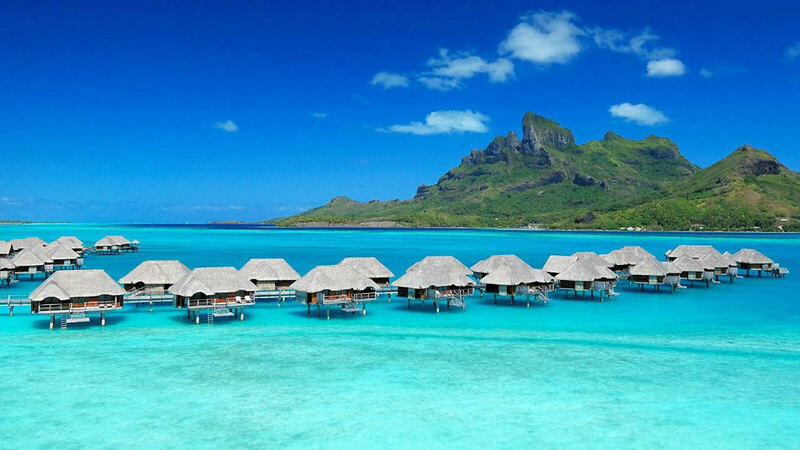 2) Bora Bora, French Polynesia. Brilliant blue and stunning greenery. Lagoons to sail along and coconut forests surrounding you. 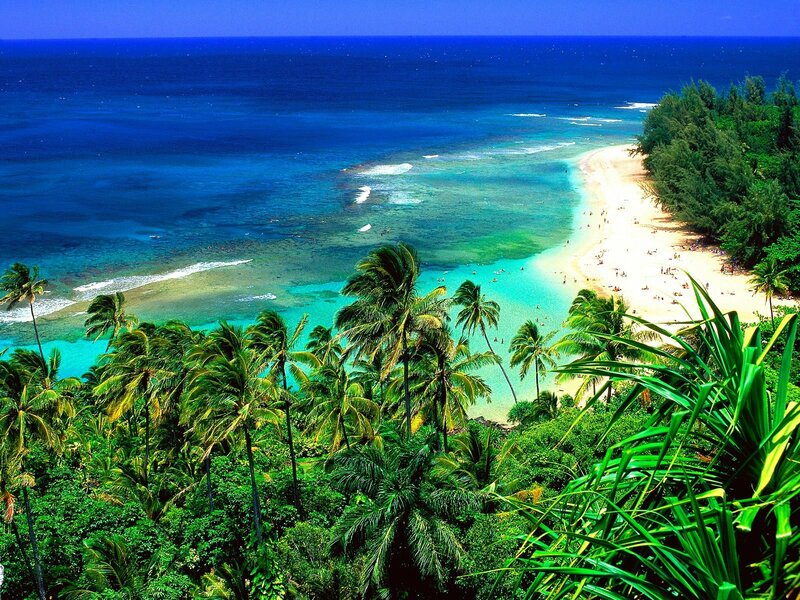 3) Kauai, Hawaii. Immense waterfalls and rocky cliffs with 50 miles of secluded beaches which you can horseback across. 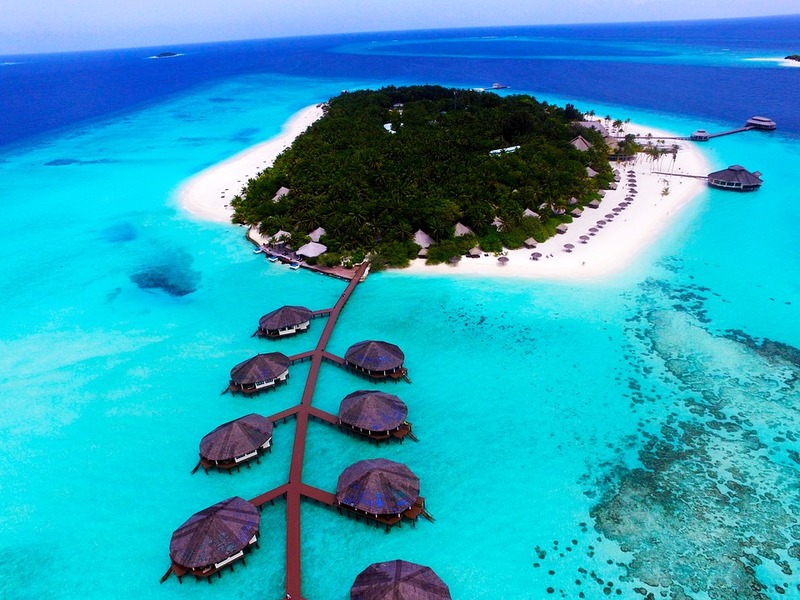 4) Maldives. Secluded shores where you can have a private speedboat along to see the epic views. 5) Negril, Jamaica. Think of a laid back and relaxed atmosphere, eating jerk cuisine and listening to reggae music. 6) Santa Rosa Beach, Florida. Paddle board in the beautiful sea and relax on soft, powdery sand. 7) Santorini, Greece. Beautiful beaches, glorious weather and succulent seafood. 8) Dubrovnik, Croatia. Discover The Old Town and it’s interesting history. 9) Paris, France. One of the most beautiful and iconic cities with some famous landmarks to visit. 10) Algarve, Portugal. Perfect escape in Europe for any kind of couple. 11) Venice, Italy. Lively city break with lots of interesting history and stunning architecture. 12) Marrakech, Morocco. Explore the spectacular city and then enjoy a beautiful desert tour on camels. 13) Udhagamandalam, India. Busy and lively town centre, but doesn’t take long to escape to reach the quiet and green areas. 14) Hong Kong, China. Full of culture, shopping malls, international cuisine and a colourful nightlife. 15) St Lucia, Caribbean. Wake up and listen to a symphony of birds and drive around a volcano. St Lucia is so diverse in culture you would have so many things to see. 16) Lake District, UK. No flight necessary to travel to this beautiful area of the country. Gorgeous walks and views. 17) Seville, Spain. So much to see and experience in this Spanish gem. 18) Munich, Germany. Take a blissful visit to South Germany’s largest city. 19) Athens, Greece. Famous for it’s ancient history, visit the Acropolis under the stunning weather. 20) Reykjavík, Iceland. Spectacular view for the Northern Lights.